Spring is in the air here in NYC and I’m super excited. I’m not sure how long the beautiful weather is going to stick around this time, but I’m sure going to enjoy it while it lasts. 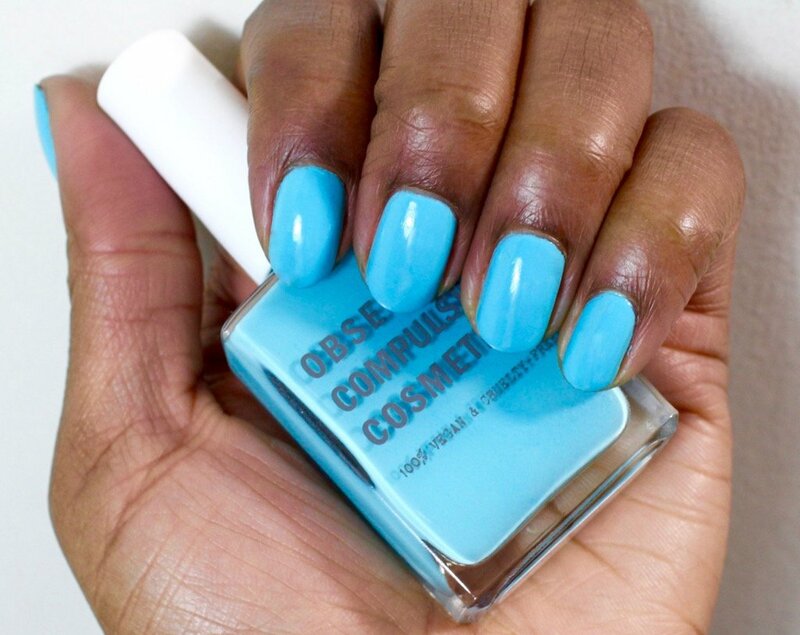 In celebration I’m wearing OCC Pool Boy on my nails this week. I received it in my March MIMI Beauty Bag and it’s sooooo pretty y’all. I can’t stop looking at my nails! 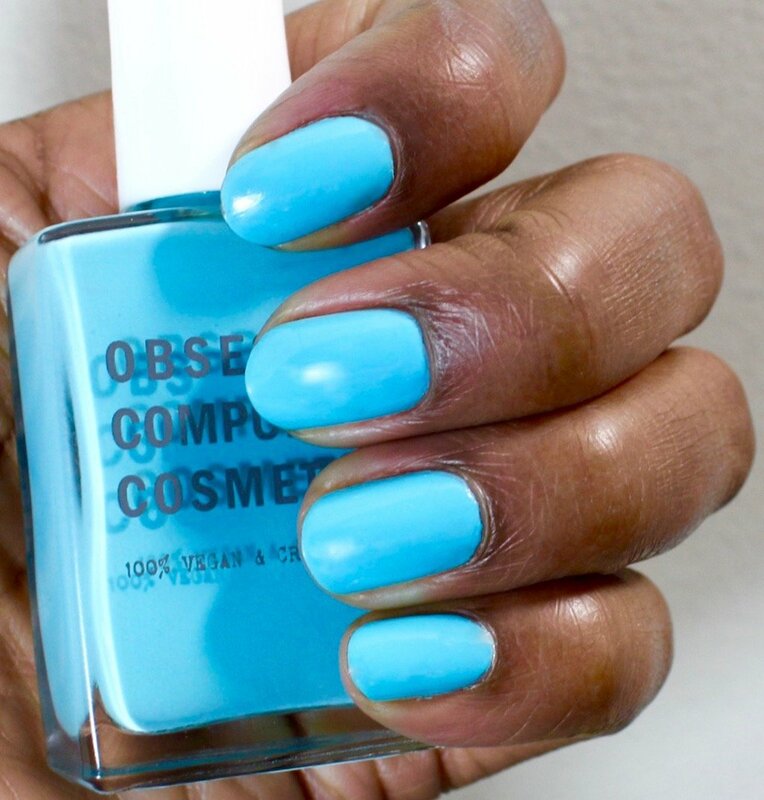 OCC Pool Boy is an opaque, aquatic blue creme. The name is perfect as it reminds of a tropical pool on a beautiful Summer day. Pool Boy applies smooth and opaque with two coats. I applied a base coat, two coats of Pool Boy and a quick dry top coat. My other OCC Nail Lacquers wear well all week with minimal chipping so I’m expecting the same from Pool Boy. 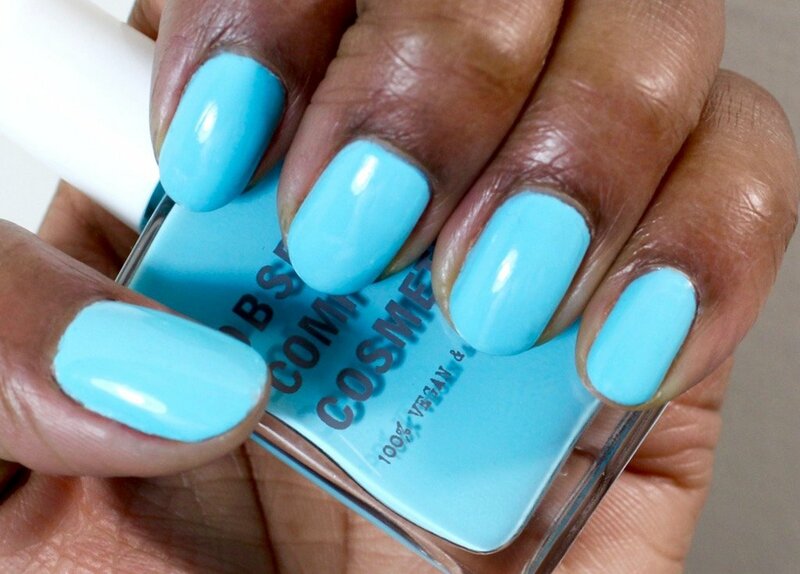 Obsessive Compulsive Cosmetics Nail Lacquers are densely pigmented, Five-Free, quick-drying and super long-lasting. Formulated with the editorial manicurist in mind, the end result is lots of color using very little product for nails that are camera-ready just moments after application. I have 3 shades from the line and I can’t wait to add more to my collection as I love the formula.